would be for most knotwork, but it would make a finely done boatswain's lanyard or a close sennit. Appx 1.0 mm diameter. his was "THE" material for use in small-stuff fancywork. His company also published several booklets on doing "square-knotting"
merely pick up the EKAFR for yourself... all the Herwig booklets have been incorporated therein. 4. Exciting.... here is a piece of "CARDOC Cotton Builder's Twine #2", which is available in DIY stores in England in 18 metre hanks. lines in the U.K. - no small deal! 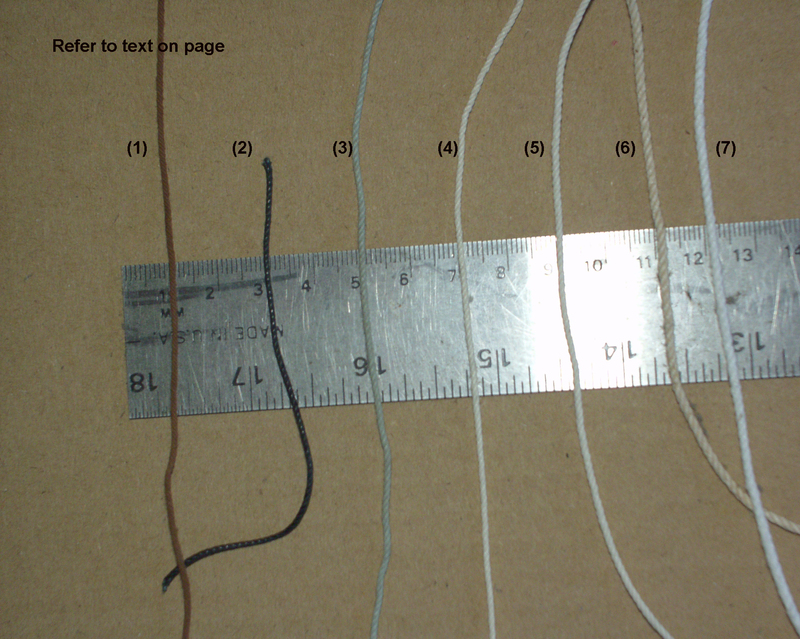 so much postal cost that it will nearly treble the cost of the cordage. no sizing to it to speak of and does not lend itself to work where knot definition is necessary, such as lanyards. It rather "snuggles"
find either the manufacturer of the cordage or a replacement for it. Don't do it unless you have (a) Broadband capabiity or (b) infinite patience.